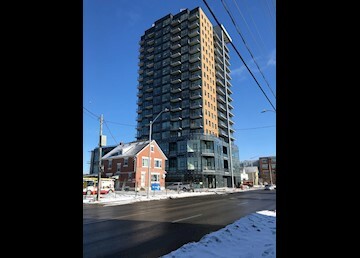 K-W Property Management Corp Presents: Located at the corner of Victoria Street South and Bramm Street in Kitchener in the new Garment Street urban community, Garment Street Condos is in the heart of the Innovation District. Brand New 2 Bedroom Condo Located in Downtown Kitchener: • 2 Bedroom • 1 Bathroom • Large Balcony • 6 Appliances – Fridge, Stove, Microwave, Dishwasher, Washer and Dryer • Storage Room • Internet Included • Concierge services • Pool area The 26 storeys will include dining, shopping and commercial spaces of Garment Street, this new development sets a new bar for condo amenities in the Waterloo Region. With a basketball court, pool area, concierge service and landscaped BBQ terrace, Garment Street Condos will offer an urban lifestyle unlike anything else on the market. Available NOW! $1795.00 plus utilities *Non-Smoking Unit* K-W Property Management Corp www.kwproperty.com To book an appointment check our online calendar for upcoming showings http://kwproperty.com/calendar.asp If you do not find a suitable showing time please email us your availability and we will book you a time to see the unit.